Fifty years after his death, the thought of the French scientist and Jesuit Pierre Teilhard de Chardin (1881-1955) continues to inspire new ways of understanding humanity's future. 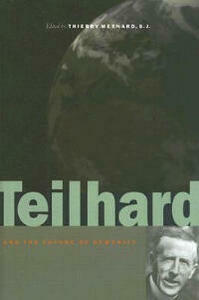 Trained as a paleontologist and philosopher, Teilhard was an innovative synthesizer of science and religion, developing an idea of evolution as an unfolding of material and mental worlds into an integrated, holistic universe at what he called the Omega Point. His books, such as the bestselling The Phenomenon of Man, have influenced generations of ecologists, environmentalists, planners, and others concerned with the fate of the earth. This book brings together original essays by leading experts who reflect on Teilhard's legacy for today's globalized world. They explore such topics as: the idea of God and the person; quantum reality and Teilhard's vision; spiritual resources for the future; politics and economics; and a charter for co-evolution.